Franchising since 1975 and established in the UK over 25 years ago. Interview: "I left my corporate job and took back control of my work-life balance!" Jeff Whittle wanted to own a business where he could work hard, apply his professional career skills, and spend more time with his family. He found it with Minuteman Press. 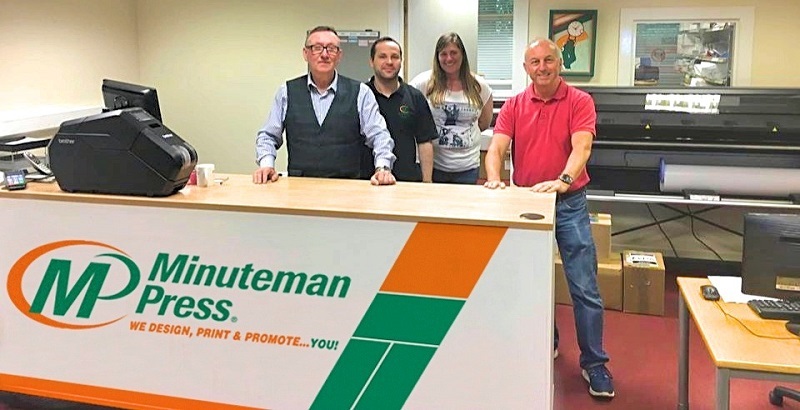 Franchising since 1975 and established in the UK over 25 years ago, Minuteman Press is the UK’s premier printing, marketing and design franchise. With in demand products and services, a proven business model and support offices in Glasgow, Manchester & Maidenhead; you too can take advantage of this unique franchise system. Every business is a potential customer of Minuteman Press. All businesses – regardless of their size or industry and whether they are start-ups or established companies – need and use printed media every business day. Our design, print, marketing and direct mail capabilities enable us to provide any business or organization with a fully integrated cross media marketing strategy that will increase brand awareness, drive up website traffic and generate positive results. Moreover, the advances in digital technology have greatly improved our business model, from making our systems faster and more efficient to establishing customer dashboards for re-orders, file transfers and proofing. Minuteman Press is looking for qualified individuals to own and run our franchises throughout the UK. To learn more, please fill out the short form below. Minuteman Press franchise locations are full-service B2B print and marketing providers. Our exceptional franchise business model provides products and services which each business needs for their everyday operations, in addition to their marketing and advertising campaigns. Prior experience isn't needed to own and run an effective Minuteman Press franchise. Our owners are business people that are alert to the needs of the local business community and can develop long-term repeat business relationships with their clients by offering exceptional quality and customer service. Why printing and Minuteman Press? Having reviewed various different franchise options, Minuteman Press, for me, had the most professional and practical approach. I re-call my first meeting with the Area Manager, I was explained the business model in great detail from start up costs and what happens when the business starts flourishing. We met with actual business owners and obtained a truthful outlook into franchising with Minuteman Press. The transparency, reasonable initial franchise costs, royalty cap and regular business hours were all factors that contributed to making our decision. The total investment for opening a Minuteman Press franchise in the UK can range from £50,000 to £60,000 when leasing the equipment. There are options available for qualified buyers that may put the initial investment in the £20,000 to £25,000 range. 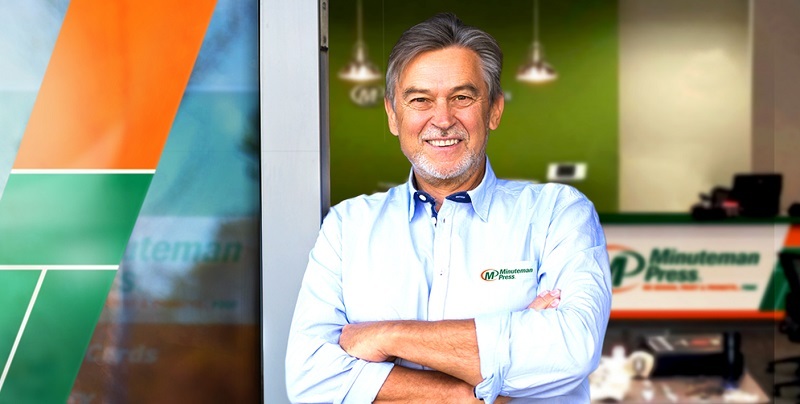 Something that makes Minuteman Press unique in franchising is the ongoing support we provide to our owners. We are extremely proud of our support system. Our owners benefit from continued local - we have support offices in Glasgow, Manchester and Maidenhead - and corporate communications, local meetings, an international convention, marketing campaigns, internet advertising programs and our monthly magazine. By filling in the form below you will be able to receive a copy of the Minuteman Press prospectus. 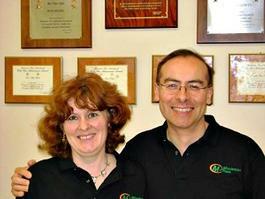 Established:Franchising since 1975 and established in the UK over 25 years ago.